I’m a bait guy. A few guys around here use spoons, but I’m trolling bait everyday and have for many years now. Keep in mind, I charter for a living. I wouldn’t use bait if it didn’t work consistently. Bait put limits of salmon in the boat. And, we’ve done that almost every day this season that we haven’t been blown off the ocean. I brine my baits daily. In fact, the whole charter fleet in Eureka (California) now does. This is based on performance, not marketing. If we don’t catch fish we don’t make money, so what we use daily has to produce. If it doesn’t work we stop using it. With that said, pretty much every boat that leaves out of this port is using Pautzke’s Chartreuse Fire Brine – because it works. Trolling a Fire Brined bait is like creating a smoke screen in the water. When you put the brined bait in the water it stands out like a light bulb. On a normal day (when there’s no weeds, dirty water, etc) when you put it in the water you don’t even see the flasher because the bait stands out. That’s what we want. There’s so much bait in the water I want to drag something the fish is going to see. My theory is I want it to be a bait like all the live bait out there, but I want it to look different. I want it to catch the salmon’s eye, which the chartreuse does. So far this season chartreuse baits have been out-fished it all lures, flies, everything. Think about it; chartreuse brined bait is like a lure and bait all in one. You use lures because of the colors and how they shine, but this brined bait is all that in one and it’s real bait. I wouldn’t necessarily say bait catches larger fish, but it does catch more fish. It’s bait. It’s the real thing. It’s what they eat. We aren’t trying to imitate what they are eating. It’s the real deal. It’s what they eat. Out here on the Pacific Ocean that bait is anchovies, but this application can be used for herring, sardines and other bait fish from other oceans. 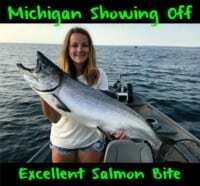 Regardless of where you fish, if you are on the Great Lakes, or the Gulf of Mexico or the Atlantic Ocean, try brining your bait and you’ll see the difference, not only in the color, but also how long the bait lasts, durability and how well it shines. Let’s face it guys there’s no secret here, but if you really want to know how we do it, here’s the scoop. Step 4: Let sit for at least 6 hours and up to a day. Your bait is now fishable. Sounds tough? No doubt. Now it’s your turn to catch limits. 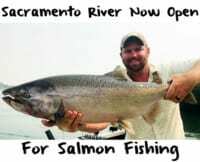 Editor’s Note: Gary Blasi operates Full Throttle Sport Fishing out of Eureka, Ca. 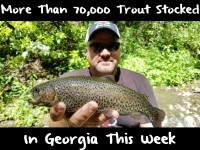 For more info please visit www.fullthrottlesportfishing.com.